A new book! Wonderful One-Block Quilting! Hi everyone! Some exciting news 😀 I have a new book that’s released recently! 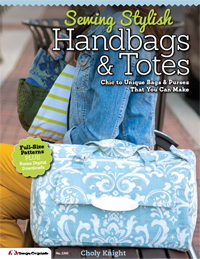 It’s called Wonderful One-Block Quilting and is kind of a spiritual companion to Quilting Simplified. 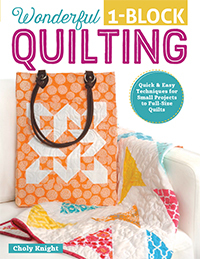 It’s a great book for beginners to quilting, but this one focuses on patchwork projects that can then be transformed into quilts. 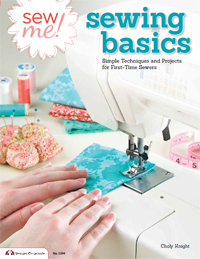 Just like Quilting Simplified, it covers all the uncommon and underrated techniques that I’ve gathered to make quilting simple for beginners, but gives you 8 projects to test your skills with. Each project prominently features a certain quilt block, which can then be repeated later in the book to make full quilts. There are fabric requirements and cutting instructions for all the major quilt sizes: baby, twin, full, queen, and king. 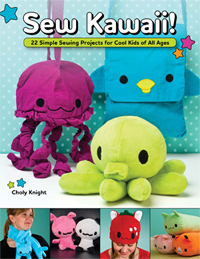 So whether you want to make patchwork gifts or a quilt for yourself you’re in good hands. 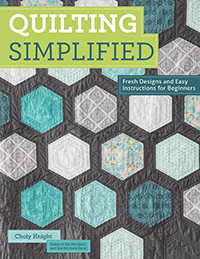 Again like Quilting Simplified, the projects follow a modern aesthetic, not only for the fresh and simplistic look, but also because I think it’s a great attitude for beginners. Modern quilting focuses a lot on experimentation and improvisation, which is so welcoming for beginners I think. 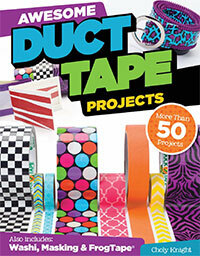 What I was most proud of while writing this book is that all of the projects work overtime for you. The design for a simple purse can be transformed into a full bed quilt in every size, so it’s like getting 6 patterns for the price of one. And other projects like the Nesting Fabric Boxes show you how to make a set of 3 boxes of different sizes, so there’s even more value there. 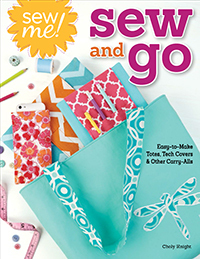 And of course like many of my other books, like the ones in the Sew Me! series, the sample projects let you learn through experimentation. Whenever possible, I try to show the whys and hows of every technique so if things go wrong you’re more likely to understand how to fix it 😀 And in the future maybe work out your own patterns! 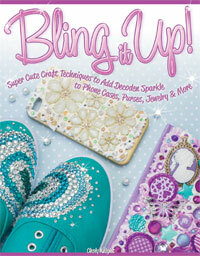 So if you think this book sounds like something for you, I hope you’ll give it a look! 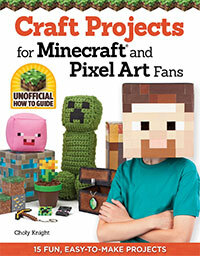 There’s a more detailed page that describes more about the projects, or you can check out the purchase details! 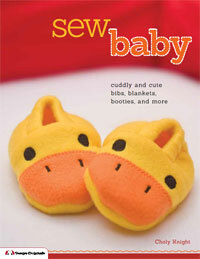 Categories: Books, Updates | Tags: beginner, book, diy, how to, patchwork, project, quilting, sewing | Permalink. This project was a lot of fun to play around with 😀 It’s kind of a triple threat in that it helped me use up some cotton scraps, I got to try out some more travel bag ideas for my upcoming trip to Metrocon, and I got to experiment with quilting in bags and pouches (and how it holds up as a stabilizer). With all that in mind I’d say it was a rousing success! They come together super fast and allow a lot of room for fun improvising. They’re a lot more forgiving to make than most train case patterns, because they’re not done the conventional way. 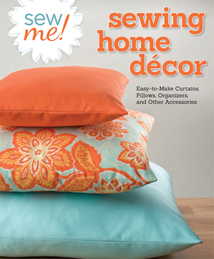 You’ll see you use a box dart to make their shape instead of sewing curved seams or having to bind edges. While you might be tempted to make this in whole cloth without any patchwork, I found that the finished case isn’t as sturdy without the extra quilting stitches going through it for support. 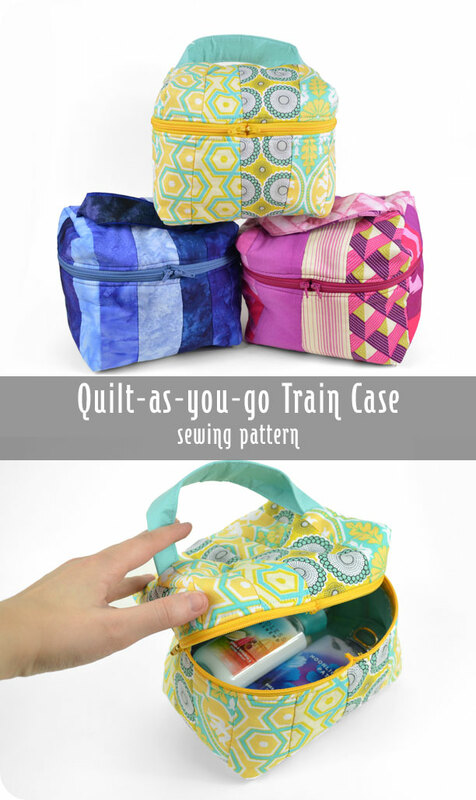 So I would definitely recommend doing the quilt-as-you-go method in some fashion to get those extra seams going through your case. Categories: Cases & Pouches, Free Projects, Patchwork & Quilting | Tags: case, diy, free, how to, patchwork, pattern, pouch, project, qayg, quilting, sewing, train, travel, tutorial, zipper | Permalink. 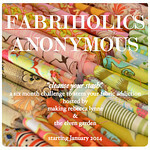 The patchwork is back again! Just as I warned :B As for this particular project, well, I’ve been in denial about it, but I finally admitted that I need a casserole carrier. The problem was I have a few options to carry food and pans to friends’ homes, an insulated grocery bag, a few totes, etc., but none of them actually worked! I have kind of a ragtag collection of pans, some larger than 9” x 13”, some narrower, some longer; you get the idea. It’s kind of nice when I’m discerning about just how much food I want to make, but not so good if I hope to make it fit into one of the bags I have. That’s why I finally caved and said I would make a casserole carrier. I could have made a fancy one that zips up and has piping and pockets and all that stuff, but considering the strange collection of different-sized pans I have, I thought I’d take this opportunity to try something furoshiki-style. Furoshiki is the Japanese custom of using large scarves to wrap and carry your goods, tying knots to hold things in place and make handles. It’s incredibly ingenious and economical since a scarf can be tied to carry objects of about every shape and size. This particular carrier isn’t exactly the same, but the spirit is there, definitely. 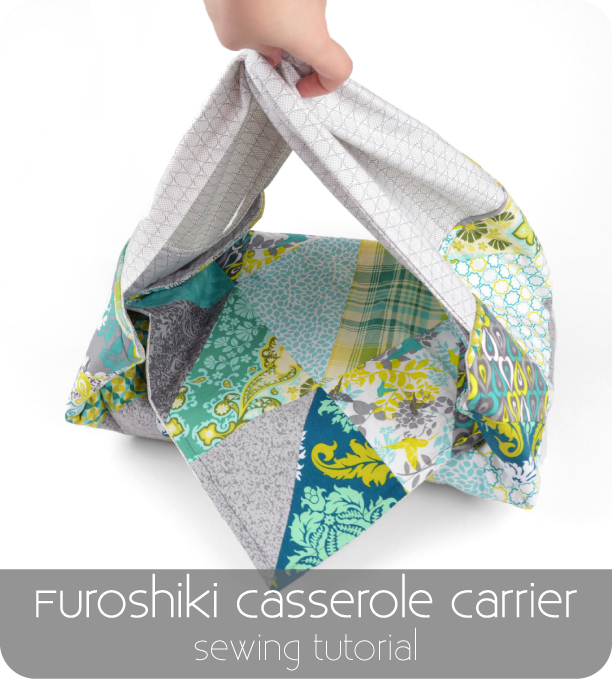 This square of insulated patchwork folds up over your casserole (no matter what size!) and the wide handles make it easy to grab or wrap over your arm. An extra layer of insulated batting makes the whole thing feel like a quilt and keeps your foods warm inside. It’s not as fancy or secure as an actual casserole bag, but I like it for its versatility. 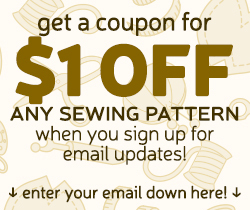 Categories: Free Projects, Home & Office Decor, Patchwork & Quilting | Tags: carrier, casserole, diy, free, furoshiki, how to, patchwork, pattern, project, quilting, sewing, tutorial | Permalink. 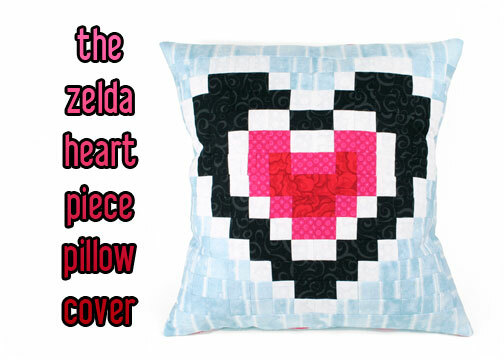 Here’s a sweet pixel style Valentine’s Day project for any Legend of Zelda or video game fan! I would have taken the chance to deplete my suiting stash some more, but I found a better Valentine’s themed project in my quilting fabrics. Each little square of cotton fabric is sewn together as a grid to make one of the many well-known pixilated icons of the Legend of Zelda video games. I’ve seen a lot of 8- & 16-bit quilts before and I while I’ve made tons of quilts in the past I haven’t had a chance to make a pixel one yet. I’m glad I finally got the chance 😀 It went better than I thought going through my cotton stash. Cutting up all the cotton squares really helped use up some fabrics that I thought I would never get rid of, so making pixel projects really helps with stash busting ^-^ I can’t wait to work on another one! I thought making the heart pixel into a pillow cover was a good bet, because you then you can see it on your couch or bed everyday and makes a perfect gift for your Valentine ❤ If you know a little bit about quilting I’m sure this project will be a breeze for you. And if not, it’s not a terrible way to get started. All the little pieces can get overwhelming, but the guideline makes it really easy to put together one piece at a time. 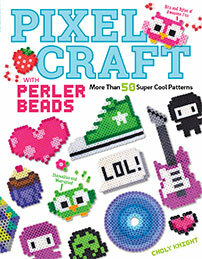 Categories: Free Projects, Home & Office Decor, Nerdiness, Patchwork & Quilting | Tags: 16, 8, bit, cover, download, free, game, geeky, heart, how to, legend, link, nerdy, of, old school, pattern, piece, piecing, pillow, pixel, project, quilt, quilting, retro, sewing, square, video, Zelda | Permalink.